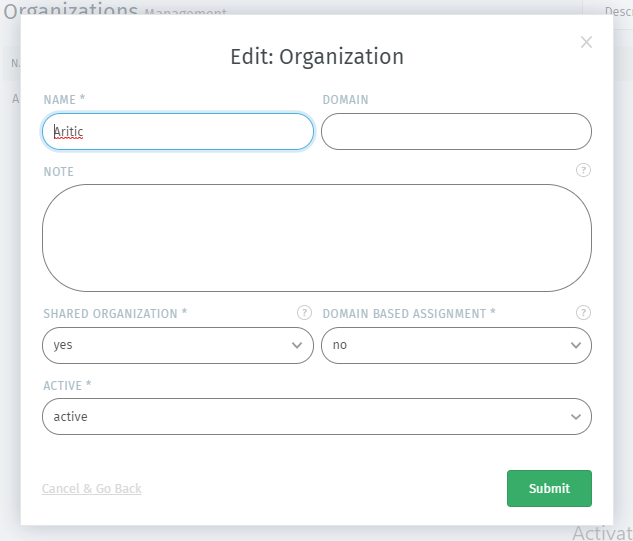 Go to AriticDesk Dashboard > Admin > Manage > Organization. Select the organization to which you want to edit. In a new modal,edit the fields according to your choice. After editing, click on “Submit” button. You can now see that the desired fields has been edited.